He said while Concepcion’s manager Aljoe Jaro was returning to Manila, Concepcion would stay behind and continue to train at Freddie Roach’s Wild Card gym in Los Angeles. Dr. Recto was obviously impressed with Concepcion who, he noted, followed Roach’s advice “to go to the body first since Daniels was taller and wear him down, then go for the head. It was effective. 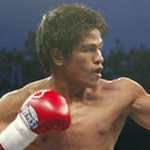 However, he said Concepcion was hit with a left uppercut in round two and “held on because he felt the punch. But he recovered quickly and became more aggressive, then went for the kill when Daniels was in trouble” forcing the referee to stop the fight.